Motor oil is the lifeblood of your BMW vehicle. It’s the reason why your engine is able to operate at high speeds without failing or overheating. If your BMW is starting to leak oil, it’s hurting the performance of your engine and as a result, the quality of your drive. It’s important to have your vehicle promptly serviced when oil leaks happen, and that’s where we can help. Located in Durham, North Carolina, Carmedix is a full-service auto repair facility that can help fix any oil leak your BMW may have. Our ASE Certified technicians utilize brand-specific resources and service techniques to ensure your BMW is receiving dealership level service at an affordable rate. We exceed BMWs’ LL-01 oil requirements! When you bring in your BMW, make sure you ask about our popular oil change service, which is only $44.97 — a fraction of the cost you’d get at other dealerships and shops! Where’s The Leak Coming From? A common problem with BMW’s, especially the e90 models, is motor oil leaking from the vehicle. Although we recommend you leave any oil service to our automotive professionals, it’s both important and helpful to understand where these leaks may be coming from. Three common oil leak locations are the valve cover, oil pan, and oil filter housing. You’ll typically notice a valve cover oil leak when you see oil covering the top of your engine, as that’s where the cover is located. A blown gasket is a common cause for these types of leaks. Oil pan leaks, which occur due to a cracked pan, come from the bottom of your BMW and leave motor oil stains on your driveway. You’ll want to check in with our team to be sure, as the leak could also be coming from the oil housing filter, which is located on the left side of the engine. These leaks typically occur due to the rubber gasket hardening over time, which increases chances of cracking and breaking. Schedule Your Oil Service With Us! If your BMW is starting to leak oil, its engine won’t be able to perform at its best. 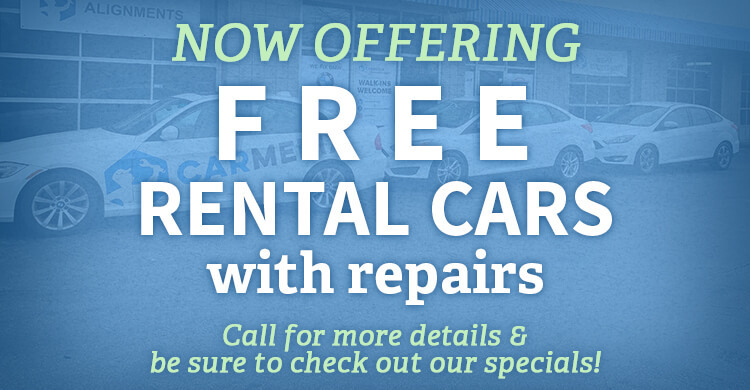 The best way to fix the problem is by visiting the automotive professionals at Carmedix in Durham, NC! Our ASE and Repairpal Certified technicians utilize factory approved tools and components to handle any leak your vehicle may have, whether it’s from the valve cover or the oil pan gasket. We make sure your BMW is performing at its best! Give us a call at 919-679-9061 and schedule your oil service today! If you’re in the area, feel free to stop by our facility! We’re located at 2105 NC-54 #5 right off I40, just take Exit 27B!